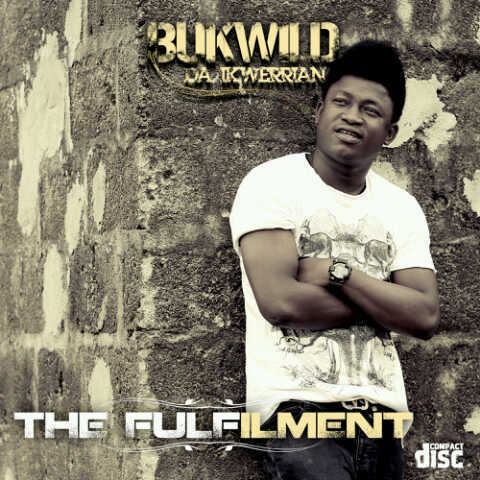 Bukwild Da Ikwerrian ft. Duncan Mighty, Kelly Hansome, Frank D’nero, Mkaze, Maxi, Eddie Izycs, Dawix N Icon In one Album titled THE FULFILMENT its out and selling in stores around you. Go get your copy n I promise, you’ll never regret it. If you are in Port Harcourt U can get the Album At Rumuola, Rumuokwuta, Rumuigbo, Rumuokoro, Sangana, Diobu, Garrison, Agip, Mile 1, and please not too worry it will soon get to your hood… Respect. Taking a look at the beautiful work done in this piece, we know that it’s been making waves and the Ikwerrian has been gaining grounds in the Nigerian muzik industry. So we took our sweet time to review this wonderful work. “The Fulfillment”. He took me on a journey. And I want to bring you all along with me. Starting from the beginning “Who Knows Tomorrow” (Onye ma echi)? Produced by Eddy Izycs. Bukwild asks the same question we all want answers to. While Eddy Izycs Come in with the flute for a beautiful interlude. Pure lyrics, wonderful sound. And he goes ahead to say “Believe in God”. Produced by Living Star. He tells his story. Tells how God stands for him because he believes. And also gives advice to everyone to do same. Talking ‘bout his Jamaican queen. Sweeping him off his feet, but not letting him in. He brings De Nero on this one to help him talk sense into her head. They both crave attention. Guess what! He finally gets attention and screams “I am ‘Fulfilled”. Produced by So Def. What does it mean to be fulfilled? For him, it’s starting from a nobody to a somebody, doing free shows but being paid for what he does now. He says “My hustle don pay”. Now, his hustle pays. He goes Kolo. Prod by Mercury. “I wanna go Kolo. She dey take me higher”. Beautiful one for those who love the dance. She understands and gives it to him hard. Then he says “Fine Tune Me”. Prod by Feezikz. All the ladies!!!!!! What you do to ‘em. Fine tune ‘em. That’s if you know how. Alas, she does the real hurt. He asks “Osiebe”. Prod by Leriq. She’s a player. O gosh! Broke his heart. Wonderful way to express his pain. He decides to party away with “Roll it”. Prod by Leroy. Then the Ikwerrian brings on his brother the Port-Harcourt 1st Son and they become Ikwerrians on “Obulama” Ft Duncan Mighty. Prod by Duncan mighty. Then he realizes that this is life. Translated in Ikwerre as “Eluwa”. Prod by Living Star. “She keeps Calling” Ft Mkaze. Prod by Messiah. “O Lord”. Prod by Shun. Pure expression of love and pain, heart and spirit. Real affection for humanity. He really gets to understand values. His values grow. He knows that “One day”. Prod by Lugi. Got to hear this. Can’t relate all, but I just want to say “Think straight, Work fast, Live right until that One day. Beautiful lyrics. “Let me be”. Prod by Tr Rockz. Let me be!!!!! I want to be me, got to do me. Don’t try to rule me, don’t try to live me. Just give me space to be me. He takes me back to play zone. “Bad Girl”. Prod by LXE. Wine, dance, groove. O yeah. You get that? “Killing Me Slow”. Ft Frank De Nero. Prod by Harmony. Brings back De large boss De Nero to play on this old folk adaptation kill me slow. “Huma”. Ft Maxi. Prod by Feezikz. “Osiebe Remix”. Ft Icon N Dawix. Prod by Living Star. “Eriente”. Ft Kelly Hansome. Prod by Lugi. Bukwild brings back those memories. How we used to play when we were children. Kelly the hansome one begs his girl to come back. No other could fit in. He wants back those good days. I want to play Eriente like I’m 5.